After 23 years in Bilsthorpe, Robert Woodhead Ltd, the East Midlands construction company, has returned to Edwinstowe, having recently acquired the business and assets of the former NE Group at Edwinstowe House. The move forms part of their continued growth strategy and a return to their roots in preparation for even more growth. 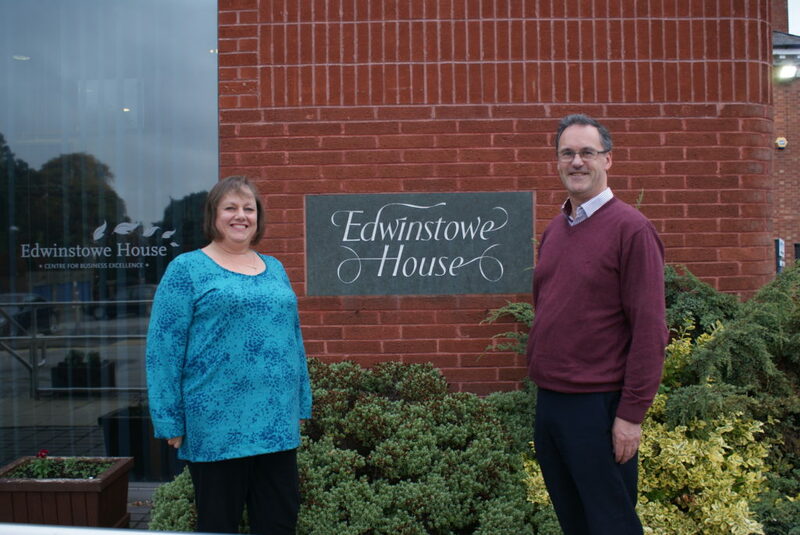 The company moved to Bilsthorpe in 1990 and the move back brings the now much larger business to Edwinstowe House which many will remember as the former Coal Board regional office. Robert Woodhead Ltd, recent winners of the Midlands “Commitment to the Community” family business award, look forward to re-joining the Edwinstowe business community and helping it to thrive. With 2012 proving a record year for growth with a 58% increase in turnover, and with 20% growth forecast for the current year and next, they are positive about the future. In fact recent wins totalling in the region of £19 million show how well the company is performing. This continued growth has seen the workforce expand from 51 in 2012 to 82 today. Robert Woodhead Ltd’s commitment to Edwinstowe, Edwinstowe House and the local area has been further highlighted by the purchase of the NE Group and the entire Edwinstowe site. Through Nurture Enterprises Ltd, Edwinstowe House continues to provide serviced office space, meeting rooms, training and conference facilities for businesses throughout the East Midlands. The whole team at Robert Woodhead Ltd is excited to be back in Edwinstowe and is keen to play an active part in the local business community. The company is planning to invite the local businesses and community leaders to an early evening event in the near future.